Apparently, this is how all critics of the HBO show Girls appear to its writer, director, and star. 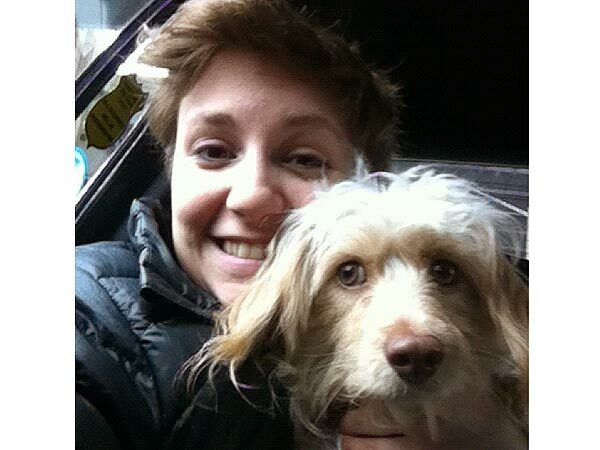 Of course I’m talking about Lena Dunham, ladies and gentlemen. Well gee, I don’t know. Maybe because most twenty-somethings don’t have the luxury of making films right out of college. All us jealous booger-eaters are too busy trying to find full-time jobs to pay off our student loans. This is the same baloney that Allison Williams threw at us when she claimed to have naively posted a “Mad Men Theme Song with a Twist” to Youtube which resulted in Judd Apatow’s contacting her agents. Despite what Dunham may think, I’m not jealous that Allison Williams is on television. I just wish that for a moment she would be humble and admit the fact that her priviledged upbringing and family name didn’t exactly hurt her application to stardom. And the same goes for you, Lena. No one denies that you’re (I suppose) talented and hard-working, but do us all a favor — admit that you had some help along the way. In my opinion, this is what alienates actual twenty-somethings from the characters and actresses on Girls. These girls have contacts that us peons only dream of. Lena, you’re lying. You’re trying to defend the fact that you are, in fact, a priviledged white girl by attacking the nay-sayers and calling them jealous. It’s something we’d expect from your hipster alter-ego, Hannah. You know, the character on your show — the one that you write, direct, and star in, but claim you don’t feel a connection with. I assure you, we are not jealous. We just wish you’d come clean and stop embarassing yourself. You are trying too hard to be the bohemian anti-heroine, as if this life fell into your lap unexpectedly as you were napping and you simply awoke, Dorothy-like, and entered the Wonderful World of Oz, aka Brooklyn. What barrier? You are naked on nearly every episode of Girls, and let’s not forget your super-tasteful opening skit at the Emmy’s that had you sitting on a toilet eating cake. Lena – have a little class. Leave something to the imagination. We don’t need to see your non-Victoria’s Secret body naked on every episode of Girls. Keep your clothes on, and have a little humility. I’ll keep my simple life, my non-showbiz family, my clean, tattoo-free arms, and my ability to dress tastefully for events. And thank you, I’ll also save the sight of my breasts for my future husband or suitor. And by the way, your dog looks terrified in that picture with you.